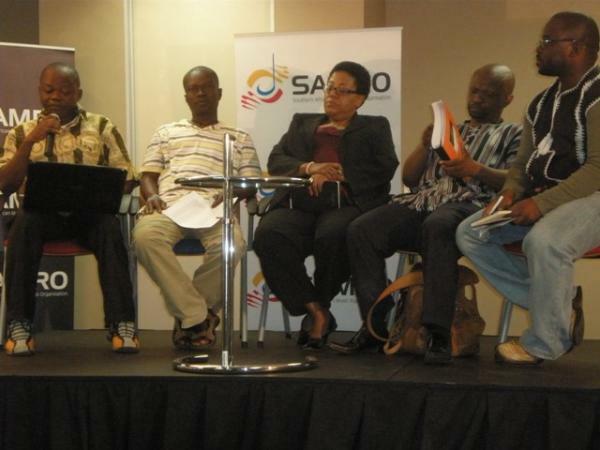 A symposium on media was held on 23 September 2009 in Johannesburg-South Africa alongside the 4th World Summit on Arts and Culture. Among the discussants was Africine's Télesphore Mba Bizo. His contribution reveals the perspectives that can reinforce cohesion between African Francophone and Anglophone arts journalists. Here is the content of his paper. I have been asked to address the issue of overcoming isolation between Francophone and Anglophone arts coverage. Apart from being an honour for my humble self, it is much of an individual and collective challenge to take up. 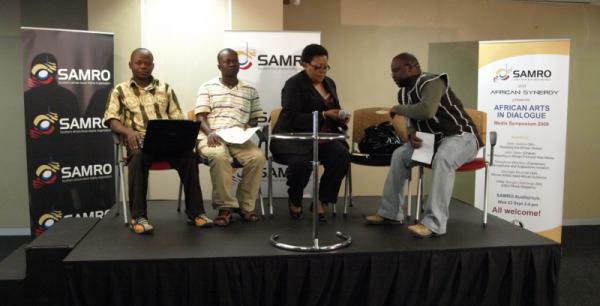 Bridging this linguistic gap is the way forward for arts reporting in our continent. One of the key principles in journalism has to do with covering proximity. 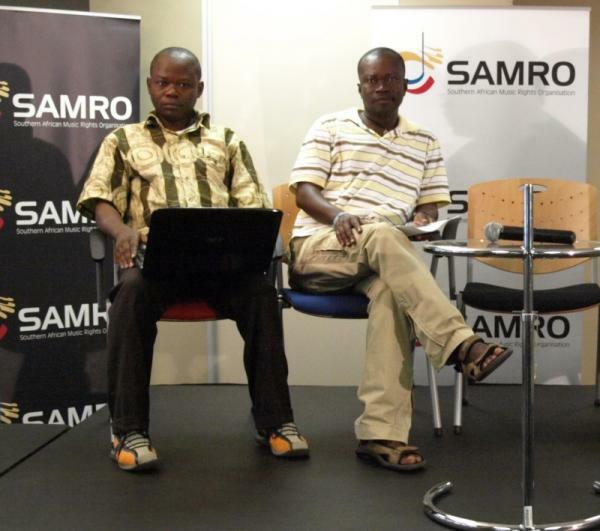 The said proximity has always been experienced in two ways as regards arts journalism in Africa. First, geographical closeness. Arts journalists have been mostly interested in reporting immediate culture when they are not drown into American mainstream. These are the topics that are regularly discussed within African countries or localities. As a Cameroonian arts journalist, I have been highly and solely dealing with issues related to Manu Dibango or Richard Bona because they are my compatriots. Here comes the geographical aspect, again. The second aspect that has been overworked in arts journalism is the colonial proximity. The gossips among French or English celebrities have been overwhelming airwaves when I am unable to name the best Nigerian actor or actress for 2008 when Nigeria is just next door to Cameroon because of language divide, French being egoistic here, and English being selfish there. Actually, what I call colonial proximity is indeed affective closeness. Paris, London, Madrid, Berlin are still occupying our minds. When we don't think of our respective countries or, for some, our own sub-regions, what comes to us next is our former colonial master. African countries that don't share our official language are out of thought. Our affective proximity has remained a vertical axis. It moves from the South to the North. It goes from Nairobi to London or from Libreville to Paris and the other way round. Our affective proximity is an up-and-down line. And this, as to me, is a beaten track. Hardly shall I advocate the total cancellation of the North-South axis proximity. 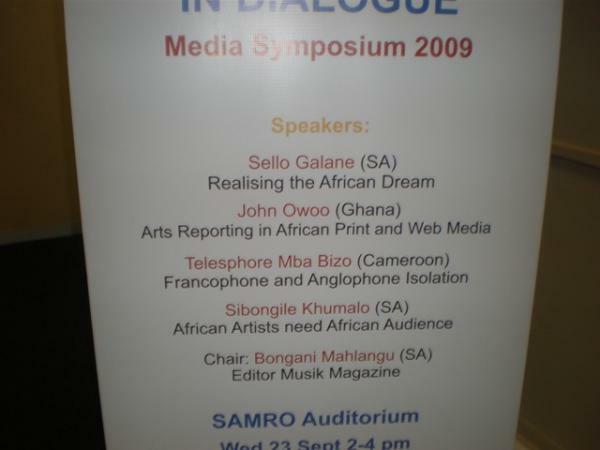 However, it high time African arts journalists experienced another trend of affective closeness. It is the horizontal axis. The issue is to broaden the horizons of arts news gathering within Africa. Professionals go beyond national geographical and linguistic borders to process information. They may use national arts pundits as local correspondents as they go cross-checking pieces of information. In this regard, Gwen Ansell or Nicky Bloomfield stand tall as arts individual authorities to contact when a Senegalese or Congolese arts journalist feels the need to put up a data bank on the audience other African rhythms in South Africa. It suffices to go to Vanessa to have an appointment with the South African artist or personality of your choice. This is called networking. Consolidating the horizontal affective axis calls for sufficient intra-African networking. In this connexion, permit me to name the African Federation of Film Critics. It is based in Dakar-Senegal. Journalists from various sub-regions and countries provide papers in French or English. The facilitator, Thierno Ibrahima Dia, has them proof-read and get them published on www.africine.org. Authors are paid once per year. Quite a number of writers make some good money out of it as they file in contributions prolifically. The journey started some 5 years ago. Today, I know I can contact Bassirou Niang in Senegal, Jean-Marie Mollo Olinga in Cameroon, Mwenda wa Micheni in Kenya, Ikbal Zalila in Tunisia, Mohammed Bakrim in Morocco and so on. Alongside the web Site, there is a forum that discusses paper contents and current issues on film. Francophones outnumber Anglophones in the network. But, a handful of members can go both ways, that is English and French. The policy is to exercise linguistic tolerance as writers who are more or less bilingual are encouraged to translate contents into French or English. I have hardly met most of the members physically. However, I have come to know them through their attitudes and mood as we debate online. So, I know them. Among African film critics, I know those who easily get frustrated or nervous, those who are hardworking, those who provide reliable information. In short, I know who can do what, where, when, why and how. There is always some individual follow-up. For instance, Benin-born film critic Espera Donouvossi has settled in South Africa. We made it a common duty to meet for the first time here in Joburg and abundantly elaborate on film. Even if time constraints prevent us from seeing each other, we have been having phone conversations. Such a network can also see the light of day as concern other forms of arts since prospects are not so dark. In this regard, overcoming the isolation of Francophones and Anglophones is a dream that is coming true. French is my first language. But I am trying to make my way among the English-speaking journalists gathered here. And African Synergy is part of this new drive as regard training and capacity building. The Johannesburg-based NGO has successfully been gathering arts journalists across the continent in the South African city capital, Mbabane in Swaziland or Harare in Zimbabwe. These initiatives have given birth to Marimba Media. This online magazine welcomes contributions from Anglophones and Francophones as well. If I need a web designer, I go straight to Welma in Kenya who is part of that team. 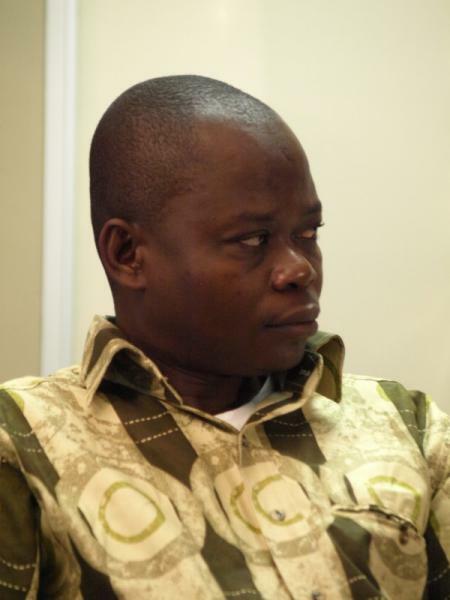 When I am in need of some expertise from a globe-trotter writer, I call for John Owoo from Ghana and so on. Even the Arterial Network has been promoting African integration through similar trainings where Francophones and Anglophones come together in a bid to reinforce continental cohesion. You can name the Winter School and musical journalism course that took place early this year in Cape Town. The lesson I have learnt out of this is that the syndrome of dependency from the North is losing ground among the new generation of African arts journalists. The journey that will take us to viewing arts journalism in Africa as an independent entity, and not a sold-out to the West, is still long. But It has definitely started by these major strides that are made such as the on-going symposium. Initiatives like these should never suffer early death as the fate of a united African arts journalism throughout the continent is at stake. Tolerance, mutual respect, continuous training and humility should always prevail. Networking is the solution to lead us to excellence. I guess my time is over. Thanks for you kind attention.